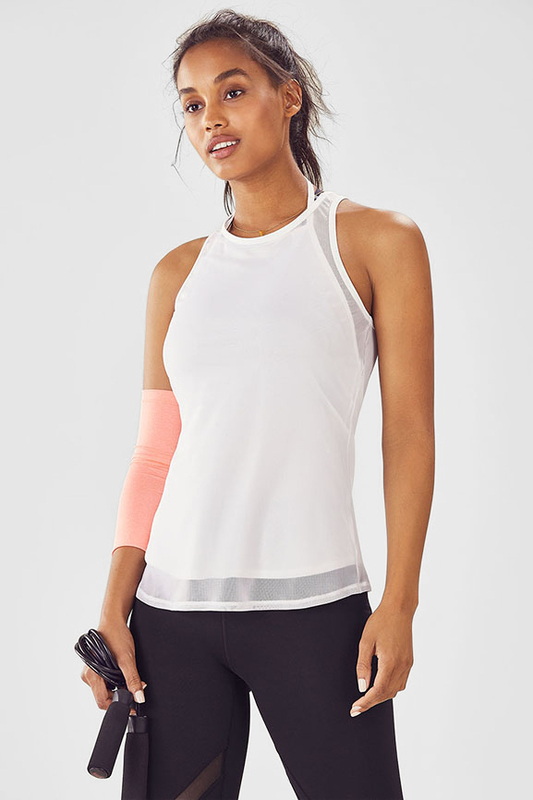 We believe that two is always better than one, which is why we created the ultimate double-layer training tank built with a sweat-fighting underlayer and power mesh overlay. 77% of members who purchased the Aubrey Tank recommend it. I think it's a beautiful style, but I do wish the two shirts were sewed to each other. Untangling it after it has been washed is a hassle! I like the idea of this top but the fit is a little weird. The layer are only connected at a few points so they can get tangled up and move around. Comfortable and easy to move in! This tank comes attached, but I detached it because I like wearing the mesh alone...it shows off my tattoo while I workout. Dont love this top. Hard to put on, kind of awkward fit.